Your roof provides one of the main barriers between your home and the weather outside. These elements can be brutal and will take their toll on your home’s roofing shingles. 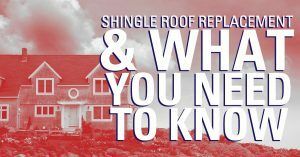 It is important to understand what the weather can do and how it can cause the need for shingle repair. The northern part of California’s Central Valley gets some seriously hot weather, especially during the summer months. On average, Sacramento sees over 70 days per year where temperatures rise above 90 degrees. At least 14 of those days get above 100 degrees. During the winter, the weather is notably cooler and wetter. This part of the Valley usually gets over 18 inches of rain a year, with almost all of it falling between October and April. This can take humidity levels up to 75% or higher. Over time, the hot sun and humidity start to deteriorate asphalt shingles & can cause a frequent need for repair. The sun beats down on your roof. During the hot summer months, when temperatures go over 100 degrees, the heat build-up on the roof surface is intense. This can dry out roofing materials, causing them to start deteriorating sooner than expected. After drying out over the hot summer, Central Valley roofs get hit with high humidity during the winter. This fluctuation in humidity levels can do further damage, leading to the need for shingle repair. Curled or bent shingles allow moisture to infiltrate the underside of the roofing materials. Cracks can let humidity and rain into the same space. This moisture can start to soak into the roof deck beneath the shingles. This can cause the plywood to separate and allow mold to grow. This will mean a replacement instead of a simple shingle repair. Heat and humidity build-up in attic spaces can cause damage to the underside of the roof. Without attention, this lack of ventilation can lead to costly shingle repair. If you need an inspection or a shingle repair, call Straight Line Construction. 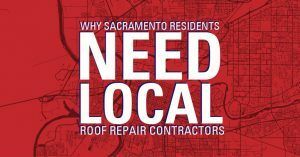 We are always ready to help our neighbors in Sacramento and surrounding areas. Extreme heat can do a lot more than make you sweat. It can have an impact on your home as well, starting from the top and going all the way down. Your tile roof is your first line of defense against the California heat and humidity. When you need tile repair, your whole house can suffer from the consequences. While you may know that extreme summer sun and high temperatures can cause warping in roof shingles, what does it do to roof tiles? While tiles are durable, they can become damaged from the heat exposure as well. They can crack and cause leaks. The aesthetic damage is bad enough, but the underlying tar paper is often exposed around the cracks and that can deteriorate the roof as a whole. 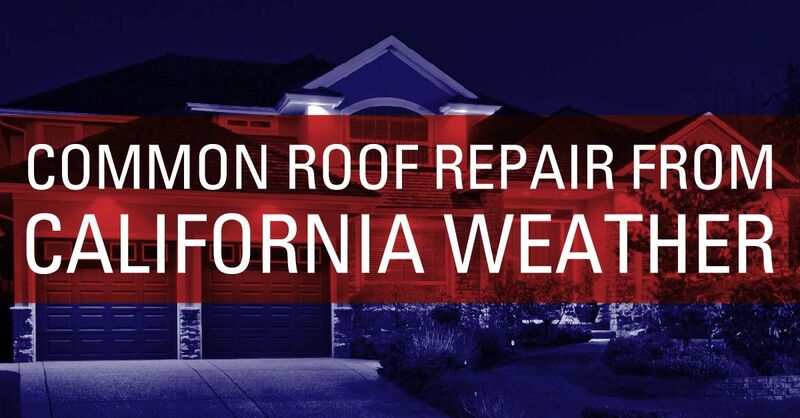 California is also known for rain showers during certain times of the year and while any roof is built to sustain various weather elements, prolonged exposure to water can make problems worse. Tiles can grow mold and mildew and they can seep leaks through any cracks they might have. If the heat combines with the rain, the roofing might really need tile repair. When you live in California, the hot, humid air is a part of life. Tile repair is something that is going to happen eventually and you need to stay on top of the tile repair you need when it is necessary. The first thing you can do is simply keep an eye on your roof. Watch for small or large cracks as the summer heat rages on and get tile repair before it turns into a larger problem. The second thing you can do is get a roof inspection on an annual basis, perhaps after the hot, heavy summer months, to ensure that any tile repair takes place as necessary. The professionals at Straight Line Construction can do any tile repair your roof needs as well as advise you on other roof maintenance items. We’re happy to come to your home, look things over, and give you our recommendations. If you keep up with tile repair, your roof will last longer and your home will remain safe and dry. California has a warmer climate than much of the rest of the country and that can be especially damaging to roofing materials. The roof on any home or business is the first line of defense a home has against heat. Homeowners need durable, lasting, and energy efficient options, which is why so many choose metal roofing materials. While other roof material will break down fast in the high heat, metal is not nearly as susceptible. However, no roofing material lasts forever and homeowners need to watch out for various things with metal roofs in the hot sun. Even metal can fade in high heat and if you notice your roof fading completely or in part, or if the metal is starting to chalk and look more mineralized than it used to, there may be issues with the roof as a whole. Color makes the home look nice, of course, but when the color on the roof starts to fade, you know there are other issues as well. If you see visible waviness in the flat areas of your metal roof, the material is buckling. This can happen with any kind of metal and is a frequent occurrence in high heat. If the roof isn’t installed properly, is simply older, or hasn’t been maintained well, oil canning is bound to happen. No roof is completely impervious to leaks and a heavy rain and high sunlight can cause leaks over time. There might be a failed sealant, flashing, or another issue or the roof might simply be aging past its usefulness. Many roof systems can scratch or get punctured and metal is one such material. The heat can make metal more pliable so if a storm follows, the roof is more susceptible to the scratches that come its way due to flying branches and other debris. Metal roofing material is very popular in California and with good reason. It holds up well against the high heat in the region, compared to other options, but that doesn’t mean it’s infallible. If you have any of the above issues with your metal roof, or if you want to have an inspection to head major things off before they occur, contact the professionals at Straight Line Construction. We can work on repairs, replacements, maintenance items, and more.